FOOTBALL: Matt Carey took his goal tally to 10 in four games as Warwick maintained its unbeaten record in the conference grade in Football Toowoomba fixtures. 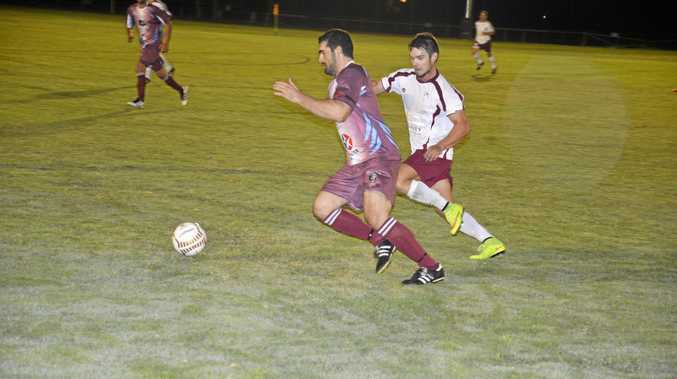 Carey scored four as Warwick beat Goondiwindi 13-0. Jesse Harris and Ashnett Bhagat scored two each for the Wolves. Devon Cooper starred in the midfield to be the best for Warwick. The Wolves now have three wins and a draw in their four games. They are one of three Warwick teams unbeaten so far this season, the others are Warwick Cowboys A grade and Warwick Water Rats B grade. There is no football for Warwick on the Easter weekend. Fixture games will resume on April 27-28.